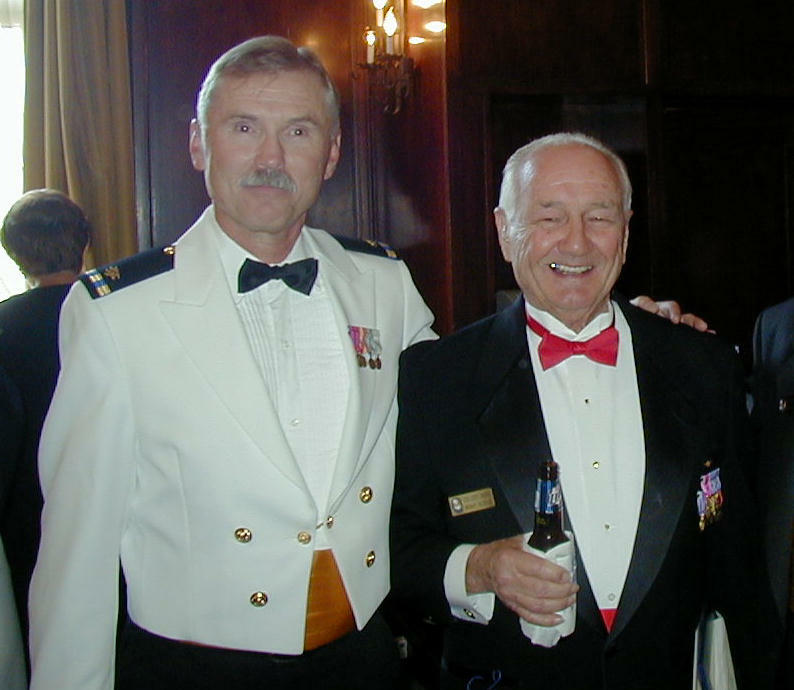 Lt. Col. Childers at right, with Midway Roundtable editor Ronald Russell, 2004. ARM3/c Lloyd Childers had the distinction of being the sole survivor among the rear gunners of Torpedo Squadron 3 who flew at the Battle of Midway, and he did that just barely, escaping with grievous wounds from his ditched aircraft as it sank near the Yorktown. He played a crucial role in the battle, as the airman in VT-3 who initially spotted the Japanese carriers during the squadron’s search for the enemy fleet. The details are found in No Right to Win, pages 162-163. He transitioned to the Marine Corps aviation later in the war, and continued to serve with great distinction in both Korea and Vietnam. He has been a major contributor to the recorded history of the Battle of Midway, both as a Roundtable member and as a featured veteran in numerous books and video productions on the battle.